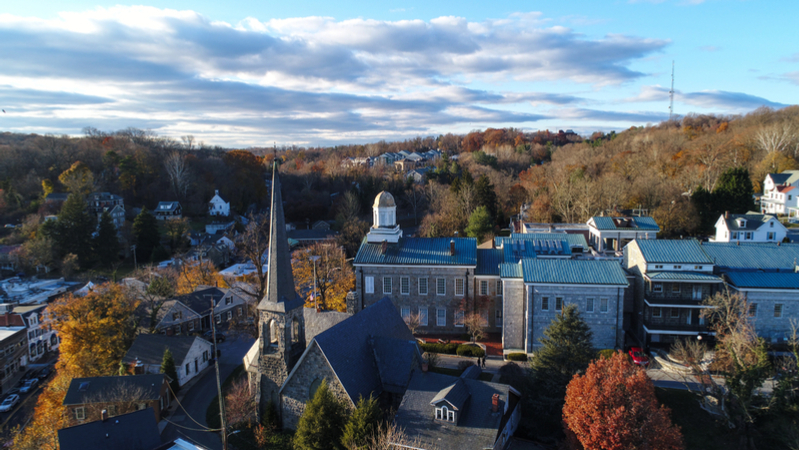 The Howard County, Md., government streamlined its IT operations and cut its contract approval times to a fraction of what they were by building out workflows and bundling business processes on a cloud platform, said Howard County’s Deputy CIO Tom Yeatts. When Yeatts stepped into the Deputy CIO role, he saw a concerning reliance on institutional knowledge to track the myriad of hardware, software, applications and cloud services that the department relies on to deliver IT services. Yeatts, an avid Star Trek fan, said that “short of a Vulcan mind meld,” accessing much of the necessary information wasn’t possible without hunting down various staff members. This came to light early in his tenure when the established change management processes failed to identify an IT change that brought down the internal network. The impact was relatively contained but Yeatts was determined to prevent a similar situation in the future. “I was looking specifically for something that would help me understand what we had on our network, that would, in some automated fashion, index everything, tell me the relationships between these things, and allow me to put a business process map on top of it,” Yeatts said at ServiceNow’s Knowledge 18 Conference in Las Vegas on May 9. With ServiceNow, Yeatts found a cloud IT solution that helped achieve that vision. Within it, Yeatts’s department also created a workflow management process and service catalog that made finding documentation and securing department approval far less strenuous for the IT department’s clients. Frustration from clients that didn’t know how to log their IT service or purchase requests was compounded by a lack of visibility into those requests once they were in progress, Yeatts said. “We have all these tasks that everyone in IT performs on a daily basis. Being able to see all of those in one place would really allow us to figure out what our resource allocation needs were and where our bottlenecks were in the process,” he said. The county implemented a ServiceNow solution that incorporated aspects of IT service management and IT operations management. In addition to developing a clear map of the relationships between IT infrastructure and services, Yeatts wanted the external service and internal operation of the IT department to have concrete workflows that delegated tasks and optimized fast results. The challenge was clear: Howard County serves around 300,000 citizens and 3,500 county employees. IT staffing is between 80-85 people, Yeatts said. They needed to simplify all the run-around. Once they successfully mapped their infrastructure, the impact on their change management process was immediate and profound. Now the team could readily see the impact a change would have on business services. With a clear map of the relationships between IT infrastructure and services in place, Yeatts’s team got to work articulating its most common business processes – everything from simple password resets to acquisition request procedures–and bundled those processes into discrete workflows. They used the ServiceNow platform’s out-of-the-box ability to take complex business processes and automate the workflows. “Everything is a business process, so the idea is to take this business process out of institutional knowledge and backstory, and to codify it in a workflow, and make it consistent and repeatable, and give you visibility and accountability into performance,” Yeatts said. For actions with long chains of custody, like purchase contracts, the benefits were tremendous, he said. These contracts would often have to pass from external vendors, to purchase administrators, to various department heads, the finance team, the legal team, all the way to the county executive. Often with tight deadlines, that chain extended approval periods to almost no end. The county resorted to physical contract-running when deadlines were tight, and paper contracts were often lost in the shuffle. “We actually sent a person over to stand in front of the desk, wait for these department heads to sign it, then go to the next one. And the next one,” Yeatts said. The ServiceNow solution facilitated the use of electronic signatures, and moved to notify each person in that custody chain when it was their turn. Suddenly, the department was operating at warp speed. “We could take that entire process and boil it down to an afternoon,” Yeatts said. That’s about four hours, he said, down from an average contract approval timeline of four to six weeks. Visibility into each stage of progress was another added benefit. The department is continuing to automate even more workflows and working on a wizard to further inform people of the type of requests they need. With the success they’ve achieved for services delivered to county departments, the team is now looking to boldly go where the county has never gone before: delivering similar benefits to citizens, including a simplified process to request services, visibility into the status once requested, and accelerated service delivery with workflow automation. By mapping these processes, they’re drawing straight lines for everyone who hadn’t known where to turn. It’s still work, but work made much easier once those lines are finally drawn.